T’is the season to be jolly (and quite frankly, busy!). I tend to be super overwhelmed in December. Not only it is Christmas, and my birthday, and we have school holidays coming up but we also almost always travel abroad at this time of the year. All this on top of the extra Christmas events at school and at friend and family’s house and the work pressure that builds up with the end of the year. And I haven’t even mentioned shopping yet! I know you get the idea too… I love Christmas but I need to feel on top of my things to be able to enjoy the moment so I always use my planner to help. This year I have done my work ahead of time and made my December spreads for bullet journal here! My Christmas doodles are also super fun for this time of the year! I know though that some people can feel overwhelmed by all the artistic stuff I do or some of you might just not have the time to make your own Christmas pages. So I have decided to make some free Christmas printables pdf for you! I made these printable Christmas pages in partnership with Noshi Noshi Gifts. They have incredible stationery items that must be in everyone’s bucket list! Together with Noshi Noshi Gifts I plan to make subscription boxes that will include journal printables and stationery. Doesn’t it sound amazing? If you want to be notified when the subscription boxes are available, download these free holiday printables and we will let you know! 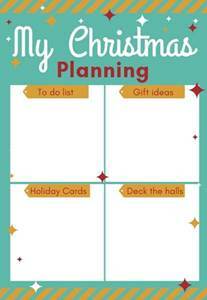 Get your holiday planner printables! 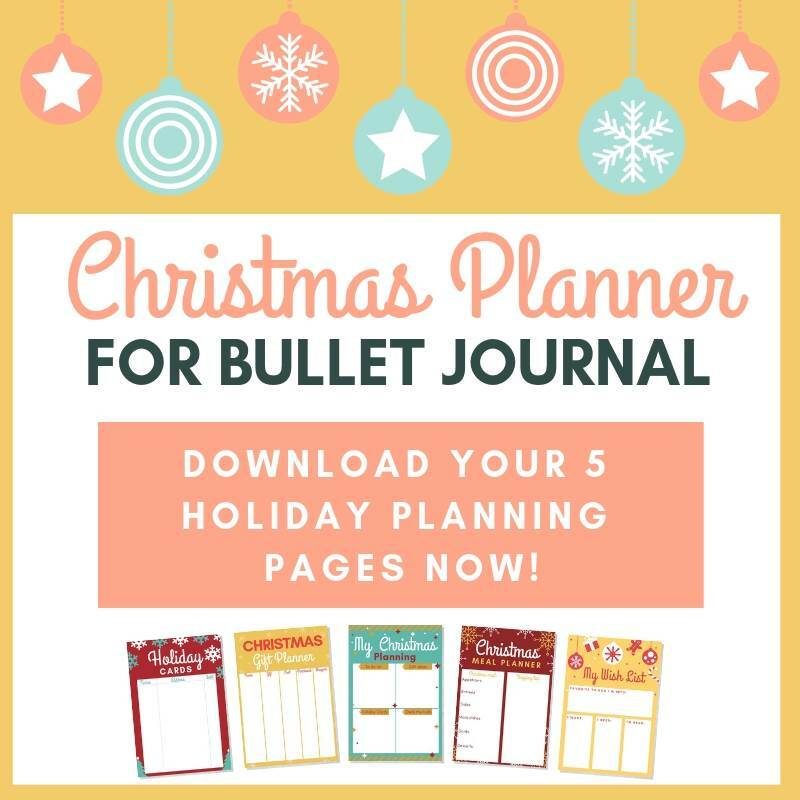 So today you can download 5 pages for Christmas planning that are sized to fit an A5 notebook. 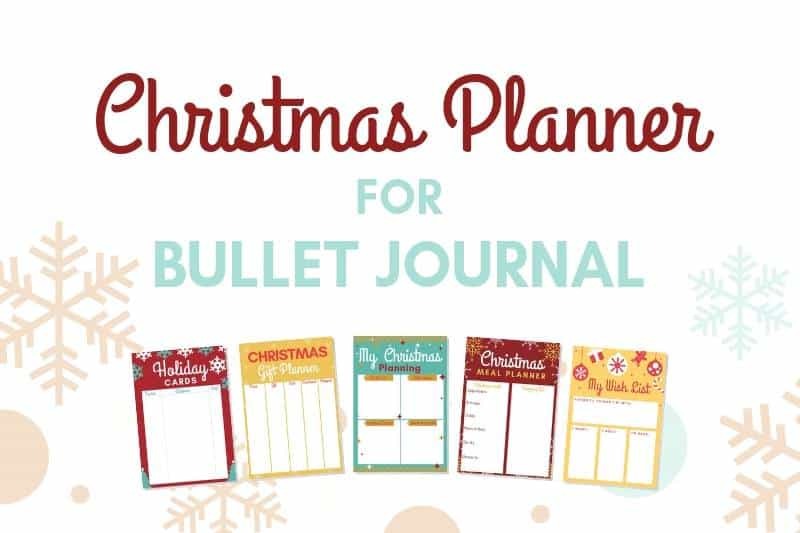 So simply download the pages, print, glue and you are ready to start planning your holidays in your Bullet Journal! No need to get further stressed with your journal at this time of the year. These pdf printable pages will make sure you have a beautiful and decorative bujo without having to do a thing! This page is an overview of the Christmas tasks. A quick to do list including decoration planner and ideas for holiday cards. All the general information in one Christmas to do list printable. This page will help you make sure that no one in your list is forgotten. 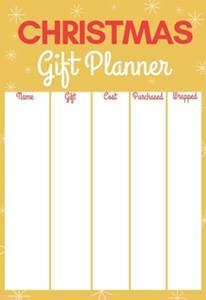 Simply add the person’s name and gift ideas in this printable Christmas shopping list and check it off once you are wrapped the present. This is the printable to help you with the most important meal of the year, right? When I used to go grocery shopping for Christmas without this planner I used to get home with so much more than I needed and a lot was wasted. 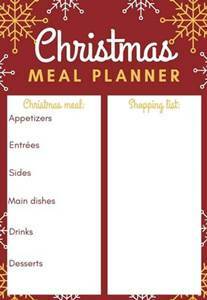 This Christmas meal planner pdf has helped me to prep and save money. Perhaps the most important page in this free Christmas planner printable bundle! If you are like me and tend to forget to treat yourself, well, not anymore! Add this page to your planner! A simple list to manage your holiday card sending task. It is handy even if you have a huge list and manage it from your pc. Just use this page to add new contacts so you can update your file in one go. 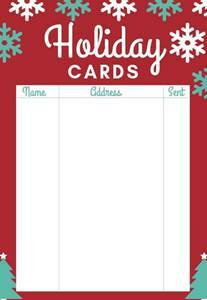 Download today for free your Christmas organization printables and have a merry and bright time! 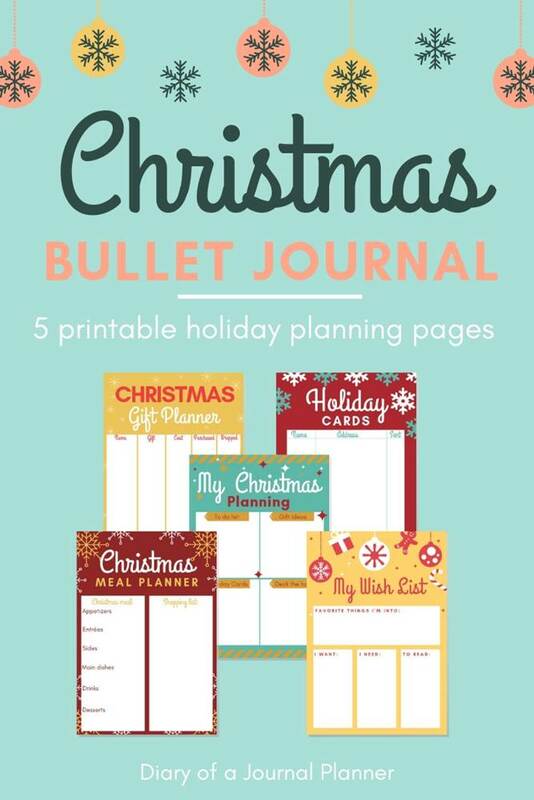 Go ahead and download your ‘Get It Done’ Christmas List Planner Bundle! And watch out for an email when we have the planner subscription boxes ready! How do you manage the end of the year overwhelm other than planning? Let me know in comments below!